Pinnacle is a nationwide Sage software supplier and Strategic Business Partner operating locally from 11 offices across the UK & Ireland: Aberdeen, Belfast, Birmingham, Dublin, Glasgow, Hull, London, Maidstone, Newcastle, Portsmouth, Warrington. Our various locations allows us to provide your business with the benefit of having local Sage consultancy, support, account management and customer services teams. Pinnacle has been providing Sage software, IT and hardware support for 25 years'. We have a team of over 100 staff, 70+ of which are Sage accredited consultants who have a wealth of experience and knowledge across the Sage portfolio. Our proactive consultants will take ownership of your problems and work hard to remedy these in an efficient manner. With a fully dedicated support team, we are able to make complex technical problems transparent, with customer friendly advice. Pinnacle understands that first class customer service is paramount to a successful relationship which needs to be maintained throughout the lifetime of a partnership. We firmly place customer needs and satisfaction at the forefront of all business transactions to ensure that we not only meet, but also exceed our customers’ expectations through continuing proactive support and communication. We support a wide range of Sage solutions including Sage 200, Sage Line 500 and Sage 1000. Sage 200 Business Partner of the Year 2014, 2015, 2016 & 2017! Pinnacle has been awarded the coveted Sage 200 Business Partner of the year 2014, 2015, 2017 and award. Sage's Business Partner of the Year programme recognises and rewards its leading business partners that have shown the highest increase in sales revenues, and continue to raise the benchmark in the software industry. 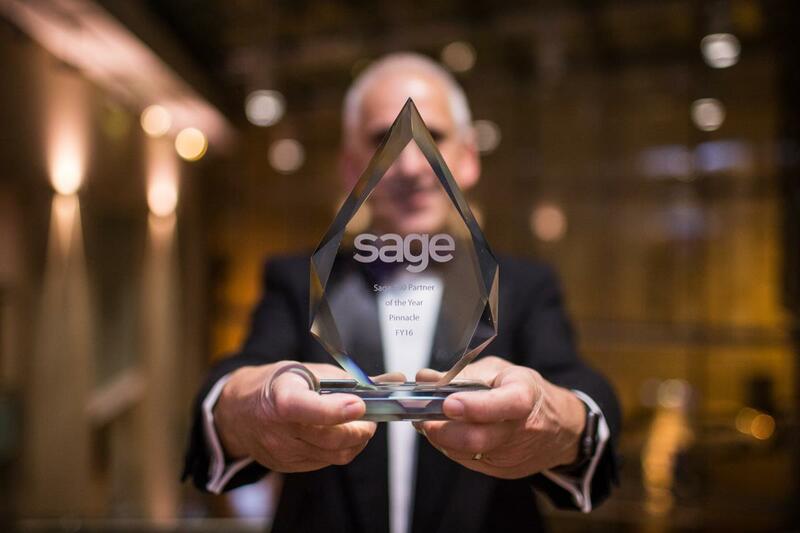 Pinnacle has also won Sage 200 CRM Business Partner of the year 2014 as well as 6 times winners of the Sage Circle of Excellence Awards for outstanding customer services, as independently voted by our customers. What do our customers have to say about our Sage support? Thank You. Your contact request has been received. A member from our Solutions team will be in contact with you shortly.